Recording Electric guitar is really not that hard. If you have a good amp, guitar, player, and some basic knowledge of using recording software, you’re all set! I like to get it right at the source. Meaning, on recording day, I like to move the mics around and use them as EQ to get the guitar tones I want to fit the song. Does it need to be darker, brighter, edgier, or more tame? As a producer/engineer it’s your job to think of these things, and make calculated decisions on what you want the guitars to do and sound like. What roles do you want them to play? Watch the video below to see all the positions in action and hear what they sound like. 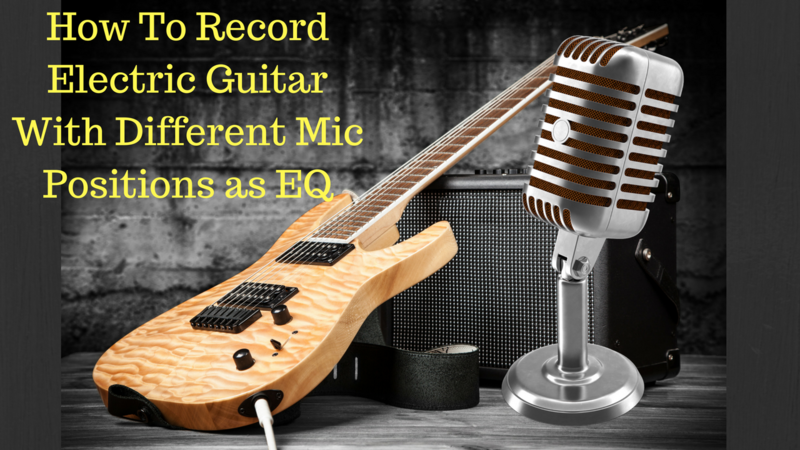 If you put in a little work to test out different mic positions when recording electric guitar, it will make your mixing a lot easier. You already made the EQ decisions with the mics to get the tones you needed to fit with the rest of the tracks. That’s how the best recording engineers do it. They make decisions on the front end of the process so the tracks virtually mix themselves. Play around with these different mic positions, and let me know what you think. Don’t forget to share, and leave a comment below! Get your Kick and Bass Eq rockin’! Pingback: Producing Electric Guitar To sound BIG and Wide in your recordings!